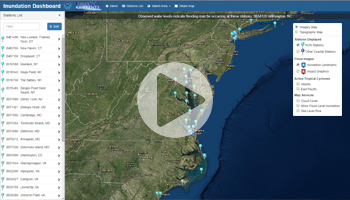 Interactive maps which show the consequences of sea level rise and chronic flood inundation. 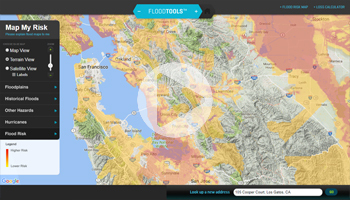 Data from Flood Insurance Rate Maps (FIRMs) where available digitally. 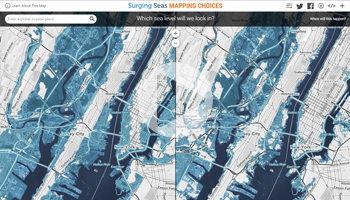 Comprehensive sea level rise map for planners. Includes local scenarios and flood frequency. 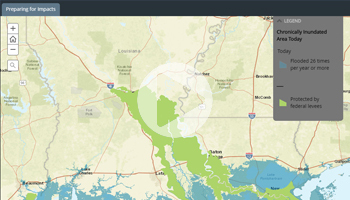 Provides real-time and historical inundation information at select NOS stations. Which sea level will we lock in? 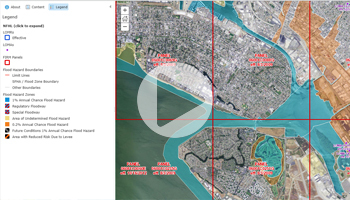 Adjust factors of sea level rise to compare predicted outcomes. Enter a property’s address to discover it’s flood risk level and amount of loss due to flooding. 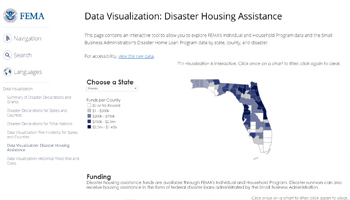 Explore FEMA’s Individual and Household Program data by state, county, and disaster. 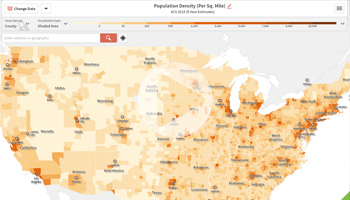 Comprehensive, custom map tool with over 200 years of demographic data to explore. 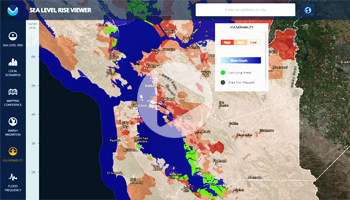 Interactive map of the Bay Area, California with extensive flood, earthquake and wildfire data. 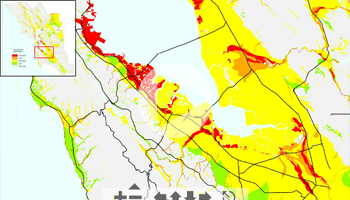 Based on assessments of the potential for liquefaction in each quaternary geologic map. 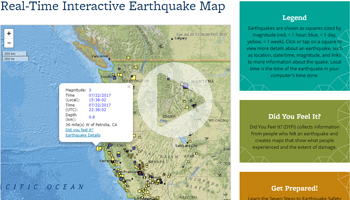 View earthquake occurrences across the globe in real time, with time and magnitude data. 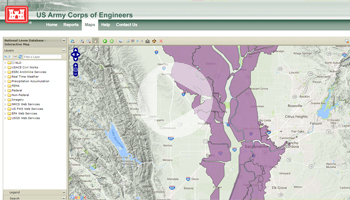 Developed by USACE, this Map is the focal point for extensive information about US levees. * These tools are for illustrative purposes only. We haven’t independently verified these tools and cannot endorse their accuracy.